There’s nothing like the nostalgic fragrance of evergreens at Christmas to stir the senses and conjure sweet memories of holidays past. For many, decorating both outdoor and indoors is a holiday tradition. Decorating with cedar, pine, holly, ivy and herbs is both simple and inexpensive, especially if you can cut the greenery from your yard. 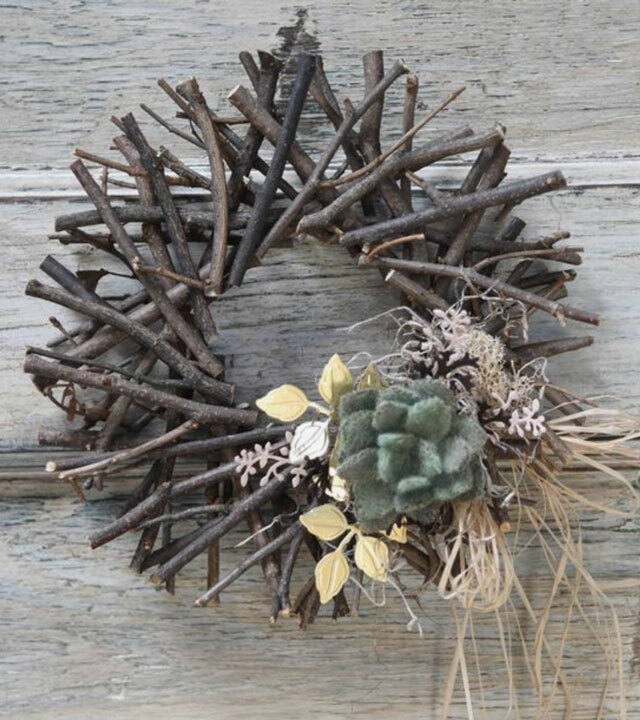 Twigs of different textures and lengths are ideal, either natural or spray painted. Wire a few pine cones to twig for a festive and often dramatic look on front doors, fireplace mantels, or almost any flat or vertical surface. If you cut your greenery yourself, you’ll want to follow a few rules or use alternative ideas to help the greenery retain it aroma and freshness. Evergreen boughs are typical for Christmas wreaths, but look around your property for ivy, pine boughs and pine cones, magnolia balls and leaves, and ornamental grasses. Indian corn, corn husks, gourds, ferns, rose hips and air plants can add fanciful shapes, textures and colors. If you have garden herbs, gather rosemary, thyme, lavender, mint, apples or crabapples. Use them in dried flower arrangements, bouquets and potpourri. Soak greenery overnight in a wheelbarrow, ice chest, or bathtub filled with water so they can absorb as much water as possible. Gather more than you need and use the extra later for replacement plants. Did you know that if you recut the ends and pound them with a hammer they will absorb more water? If you’re having an event, decorate just before the event for the best freshness and aroma. Another way to prolong freshness is to keep arrangements away from warm air flows and sunny windows, and mist daily if possible. Mist with water or with a wilt-proof product from any nursery or hardware store. As parts of your display dry, wilt, or discolor, simply replace those parts with your replacements plants as needed. Tip: Take indoor wreaths or displays outdoors overnight to keep them fresher longer. If you have small children or pets, be sure to use only plants that are safe. Check The List from University of Florida. For ideas, we recommend Pinterest. Search term: christmas in florida decorations.